The Dizzy Fizz’s Top 10 NYC Cocktail Bars to Open in 2011: Reader’s Choice! 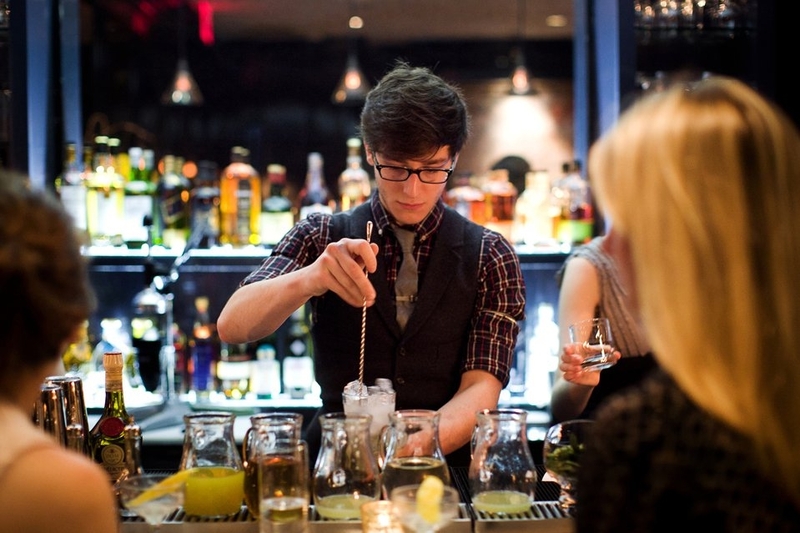 Theo Lieberman, bartender at Lantern's Keep, voted best cocktail bar to open in 2011. The results are in–thanks to the hundreds of readers who took the time to cast a vote! It was a tight race ’til the finish, and I’m glad it wasn’t up to me this time–so many fantastic cocktail bars made their debut this year and it was a tough field to narrow down. 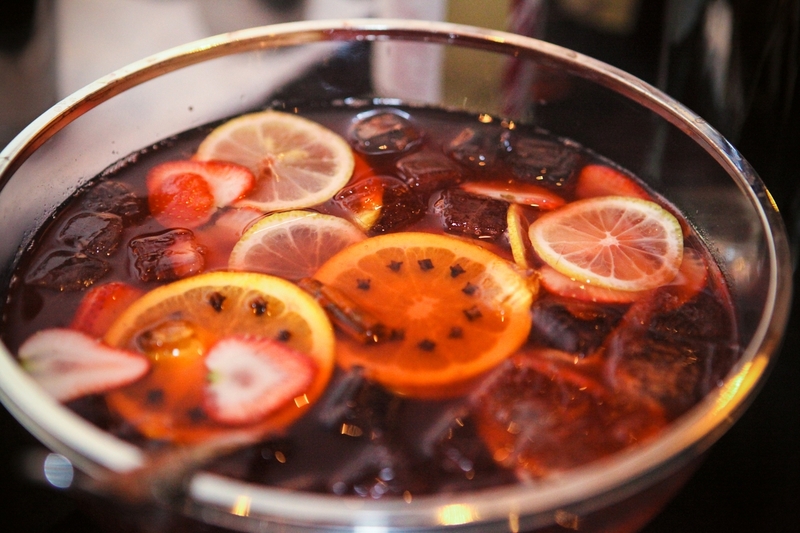 Have you sipped your way through all of these bars? If not, make it your New Year’s resolution to, and enjoy some of the best cocktails in the world. Salut! 1. Lantern’s Keep at Iroquois Hotel, 49 W. 44th St.
3. 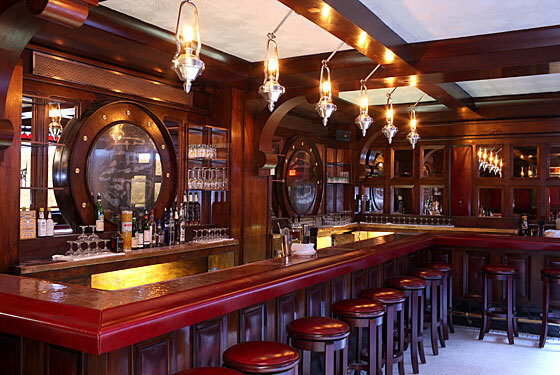 Rum House, 228 W. 47th St.
5. Amor y Amargo, 443 E. 6th St.
6. Mulberry Project, 149 Mulberry St.
7. Silver Lining, 75 Murray St.
8. The Tippler, 425 W. 15th St.
9. Mother’s Ruin, 18 Spring St.
10. Bathtub Gin, 132 9th Ave. Honorable mentions: The Beagle, 162 Ave. A; JBird, 251 W. 48th St.; and Prima, 58 E. 1st St. The restored bar at Rum House, one of the top bars to open in 2011. Top 10 NYC Cocktail Bars to Open in 2011: Reader’s Choice! Since starting this blog more than two years ago, I have made an end-of-year list of the top 10 cocktail bars to open in NYC each year, recognizing the best new additions to our drinking scene. See 2010’s picks here and 2009’s picks here. Since I have abstained from drinking alcohol for most of this year (yes, if you haven’t heard by now, I’m pregnant and due in January), I am looking to you, dear readers, to help me compile the 2011 list. This year is especially difficult since so many fantastic bars (and restaurants with stellar bar programs) have opened. I’m hoping you can help me narrow down the favorites! Voting will end December 15. How many tipples are you tipplin’?